For nearly 60 years the phrase “Call Cooke’s” has been used among residents and businesses in Stuart, FL and surrounding areas. This is because we provide professional, licensed, insured and courteous plumbing repair, planning and installation. Both homeowners and commercial companies use our Stuart, FL plumber service. Cooke’s was founded in 1958 and since then we have played a big part in the development of Treasure Coast by helping to meet all of your plumbing needs. If you have a problem with your plumbing in Stuart, call a plumber that has been working in the area for decades. With our years of experience we have seen just about everything there is to see in the field of plumbing. No matter what the problem is with your home or business, our skilled Stuart plumbers will take care of it. Since all of our plumbers have a great deal of expertise in their field they can help with plumbing problems in Stuart much quicker than many other plumbers could. After a visit from one of our plumbers you will be hard-pressed to see a problem go unsolved. We offer a great deal of plumbing services; the full list of which can be seen here. 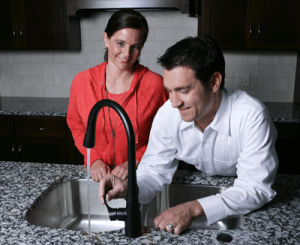 As you can see we handle everything from small faucet repairs to a full kitchen installation. No project is too big or small for our plumbers. We enjoy working together with customers from the Stuart, FL area and we hope that you call us if you need any plumbing services. After seeing the service level provided by our small Stuart FL plumbing company, you will be blown away and start telling all your friends to “Call Cooke’s”.